GNU Project Founder Calls Steam on Linux "Unethical"
The GNU movement's founder doesn't like the idea of DRM on an open-source platform. Recently, Valve's Gabe Newell claimed that gaming would help to bring Linux into the mainstream, and announced his plans to officially release Steam on Linux. In response, the founder of the Free Software Foundation and the GNU Project, Richard Stallman, has hit back saying that closed-source games on Linux could harm the very freedom the GNU project was set up to achieve. 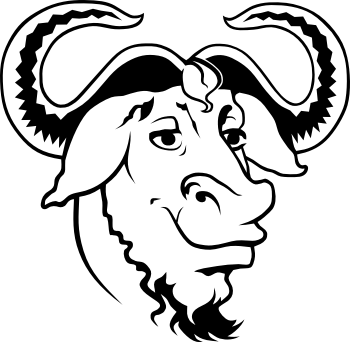 In a statement on the GNU website, Stallman conceded that a wider availability of "non-free" programs would indeed most likely increase the uptake of Linux among computer programs. "However," he said, "our goal goes beyond making this system a 'success'; its purpose is to bring freedom to the users." He went on to say that non-free programs, game or otherwise, are "unethical because they deny freedom to their users." Stallman does, however, use Steam's transition to Linux to make a call for users to steer away from Microsoft's operating system: "If you're going to use these games, you're better off using them on GNU/Linux rather than on Microsoft Windows," he stated. "At least you avoid the harm to your freedom that Windows would do." In all, Stallman thinks that the overall benefit of PC gamers migrating to Linux would just about outweigh the detriments, but he worries that the focus of users would shift away from software freedom. The GNU founder seems to be unhappy at Valve's apparent attempt to use Linux as a marketing point, saying at the end of his statement, "Please take care not to talk about the availability of these games on GNU/Linux as support for our cause." While he seems happy to afford users the freedom to run closed software on Linux rather than Windows if they so choose, he certainly sounds keen to curtail any thoughts that Steam is in line with his original design philosophy.